How I would describe the look of my home?What my favourite thing in our home is? Whats on my shopping list right now? My favorite thing to do on the weekend? My favourite day of the week? My favourite place to shop? What my signature dish is? What my signature drink is? What I am listening to? What I am working on right now? What/who I am inspired by? (above) Thought I'd give you a little look at Anoushka's new room! 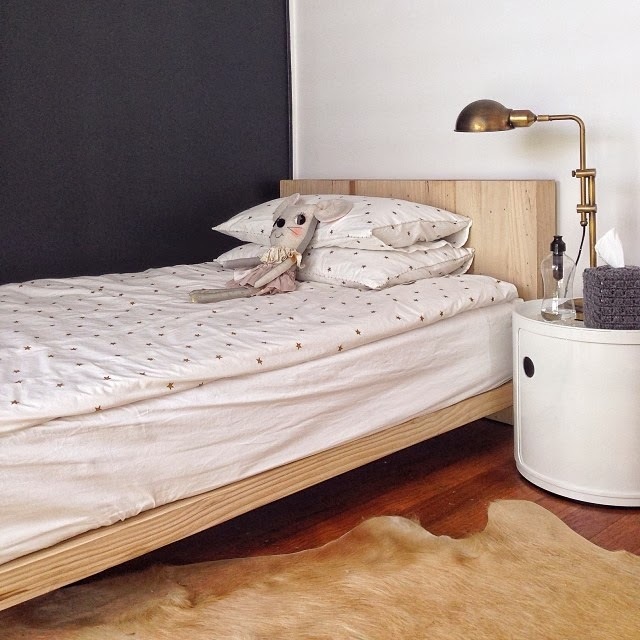 Mark Tuckey bed, Clickon Furniture bedside table, vintage lamp, Etsy tissue box cover (here), bed linen and mouse from Mamapapa Avalon.